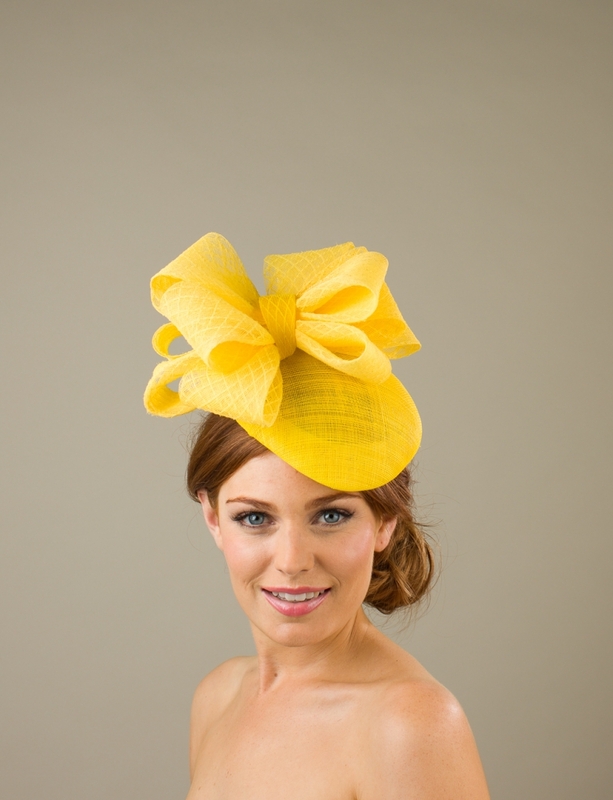 The summer racing season is fast approaching and whether you are attending the Derby, the Gold Cup or Royal Ascot we have the perfect race day hat or fascinator for you. We will make any of out hats and headpieces in any combination of colours so you can be sure that your hat will perfectly match your outfit for your big day out. We have many colours to choose from, and we understand that this can be quite overwhelming. If you can’t decide or would like Lucinda to cast her expert eye over your outfit and make suggestions for colours then that is available at no extra charge. We send colour swatches out free of charge so you can be confident in your colour choices prior to our crafting the perfect hat. We have a huge range of styles in our S/S 2019 range. 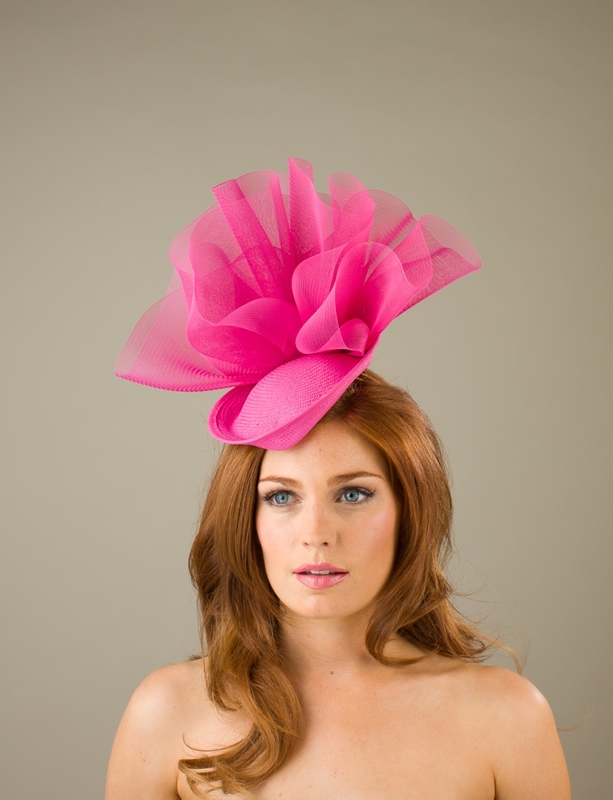 So no matter what you are wearing or the look you want to achieve we can help you to find the perfect hat or headpiece. Our dish hats always prove to be a popular choice. The benefit of our dish hats are that they look like a ‘hat’ but actually are made on a hairband so they are easy to wear and ordering the correct size is no issue.. There are a number of styles and sizes available in our S/S 2019 range. 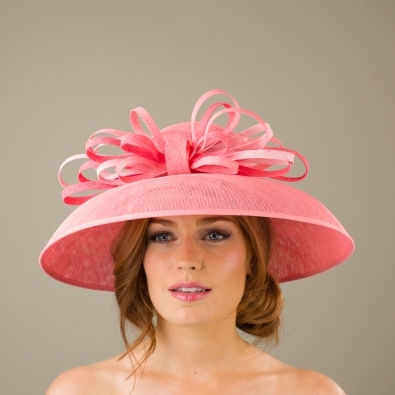 For a lady like, glamorous look choose the Warwick dish hat. This comprises a large sinamay base adorned with a large diamond patterned bow. One of our favourites is the Bamburgh Dish hat for 2019. 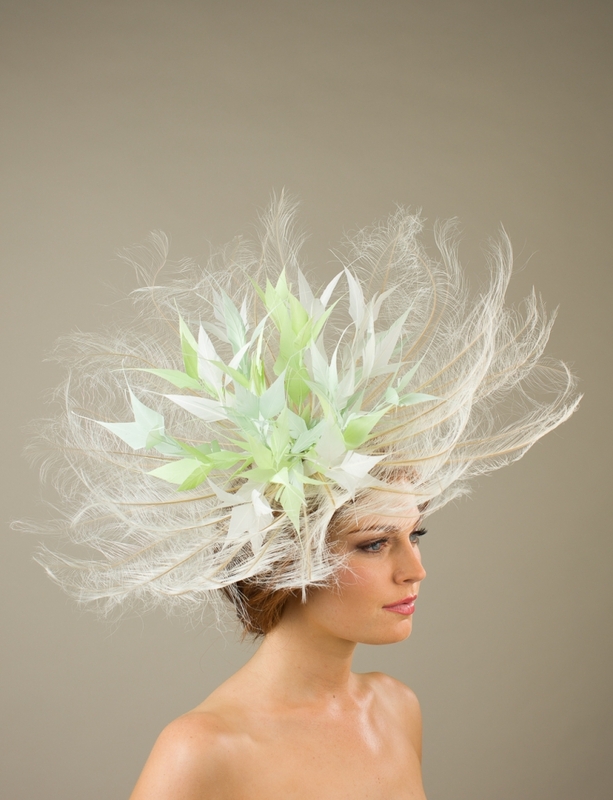 This hat is stunning and the feather detail to both the underside and top of the dish provides the right level of drama and detail. 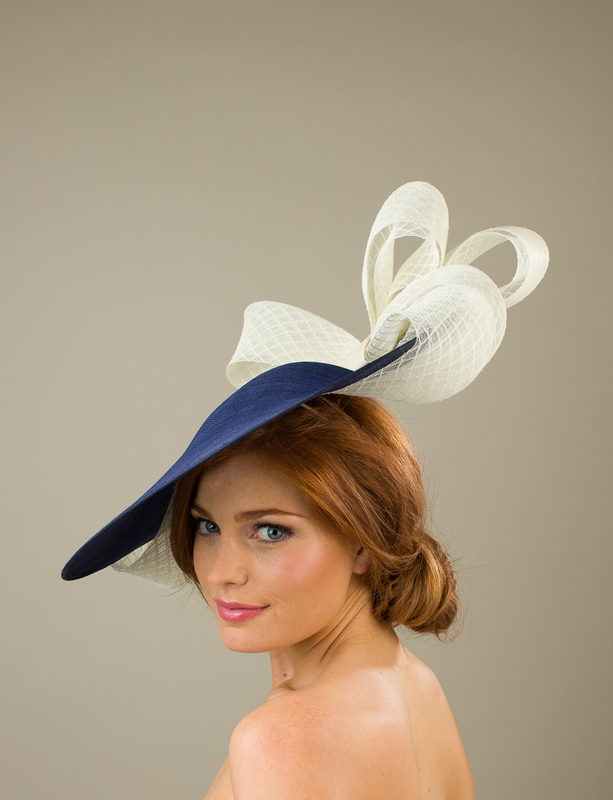 For absolute impact and drama you can choose the Buckingham Dish Hat. 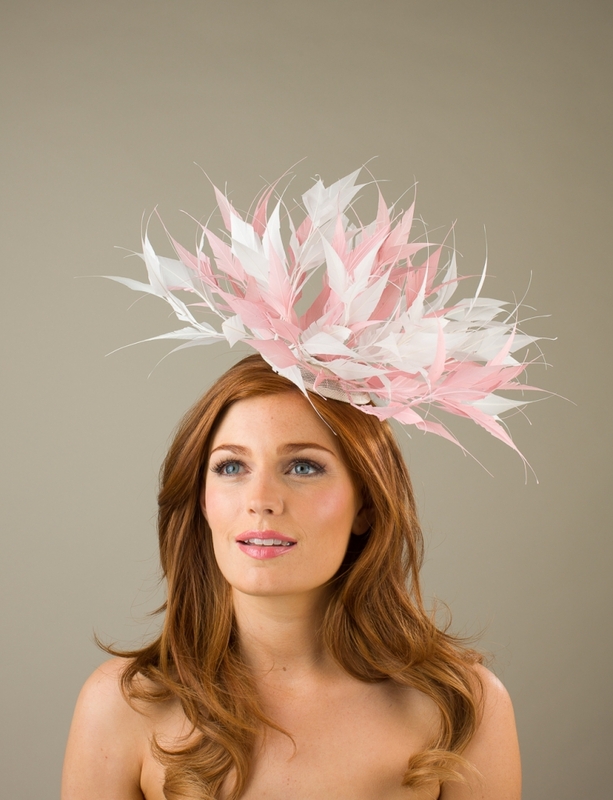 This showstopper comprises a large double layered sinamay base adorned with a beautiful array of cut coque feathers between the two layers. 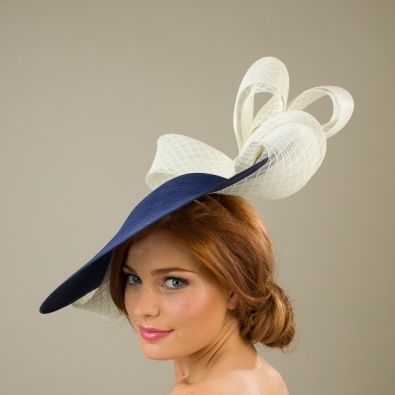 Our Spring Summer 2019 range includes some beautiful pillbox / cocktail style hats which will lend your outfit a really chic finishing touch. We absolutely love the acid brights used in many of the model images this season, however, remember you can have your hat in any colour combination you desire, at no extra charge. Three of our favourite pillbox style hats are below. They are the Penrith, Devises and Stirling. 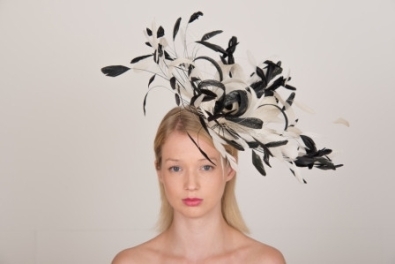 We adore a fabulous fascinator at Hostie Hats and our dramatic burnt ostrich feather designs are somewhat of a signature for us. This season we have added the beautiful Beeston and Chillingham to our collection of race day facinators. These are attention grabbing and will turn heads at any race meeting. 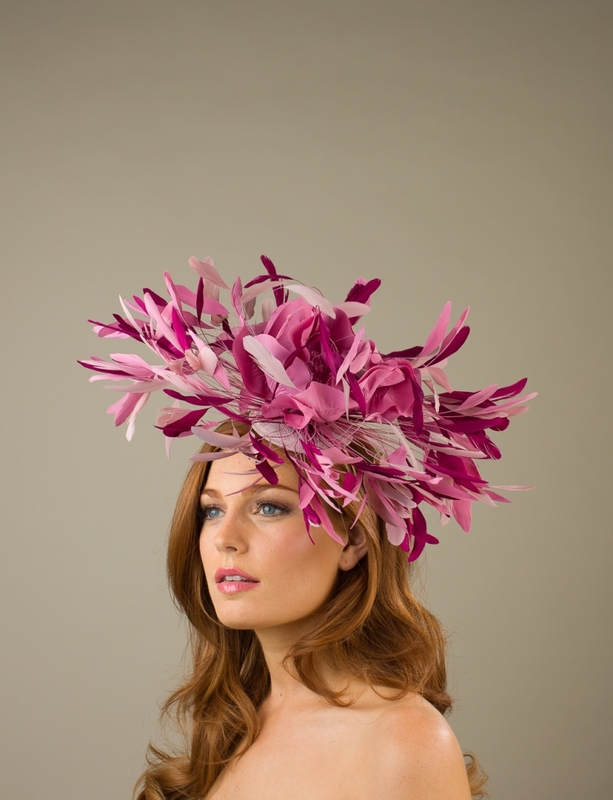 If you are looking for a more understated race day look then we have some smaller, but no less beautiful fascinators available. We love the Hurst, the Odell and its spear shaped feathers and the gorgeous Wilton headband. 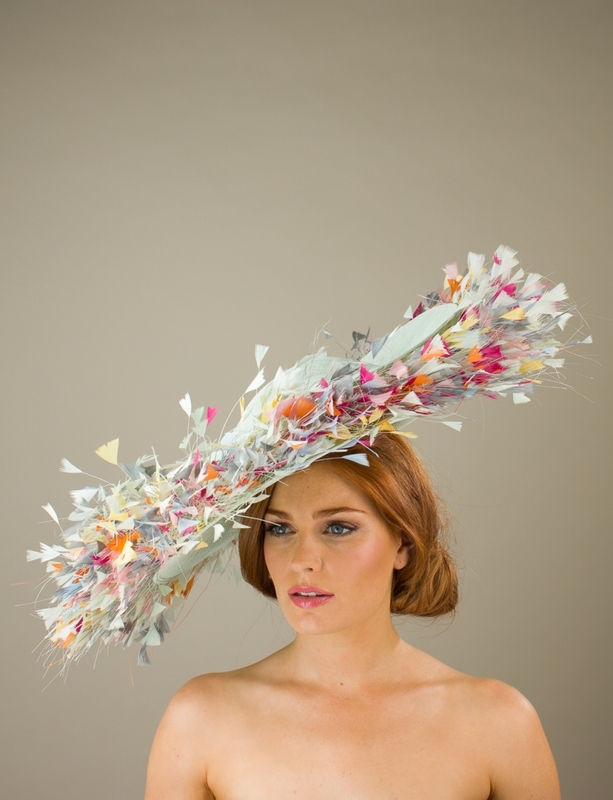 If you have something specific in mind we also offer a completely bespoke service where Lucinda will work with you to create your own unique hat or fascinator style. If you have any questions about any of our head pieces or service please don’t hesitate to contact us. We’d love to help. If you have a question about any of our products, please do not hesitate to get in touch! You can give us a call on the number below, email us at info@hostiehats.co.uk or use the contact form.